Started his career as a child artist in Kalathur Kannamma, Kamal Haasan is the finest and the versatile actor, the industry has seen for more than five decades. The multifaceted celebrity is an actor, screenwriter, filmmaker, producer, singer, and lyricist who has won several accolades and recognition, including three National Film Awards. He is also the recipient of honorary titles like the Kalaimamani award in 1979, the Padma Shri in 1990, the Padma Bhushan in 2014 and the Ordre des Arts et des Lettres (Chevalier) in 2016. Kamal was born on 7 November 1954 in Paramakudi, Madras State (now Tamil Nadu), India. He is currently 64 years old. Haasan had his basic education in Paramakudi and then moved to Chennai along with his family. He attended Sir M. Ct. Muthiah Chettair Boys Higher Secondary School in Chennai. Kamal didn’t even complete his school studies and dropped out in 8th or 9th grade. Sridivya – Kamal Haasa and Sridivya have acted in many films during the 1970s and were rumored to be dating each other. A Malayalam film called Thirakkatha by Renjith discussed the relationship between them. Anoop Menon played as Kamal and Priyamani reprised as Srividya. Simran – Kamal had a brief relationship with actress Simran. They both worked together in a couple of films, Pammal K. Sambandam, and Panchathantiram. Gautami Tadmalla (2005 – 2016) – Kamal and Gautami had acted in many films during the late 1980s and early 1990s. They were rumored to be dating for a long time, however, they entered into a living-in relationship in 2005. After living together for 13 years, Gautami broke off with him. Gautami wrote on her blog: “It is heartbreaking for me to have to say today that I and Mr. Haasan are no longer together. After almost 13 years together, it has been one of the most devastating decisions that I have ever had to make in my life”. Kamal may be wearing a shoe size 9 (US). As a child artist, Kamal Haasan debuted in the 1960 Tamil film, Kalathur Kannamma as Selvam. He starred in a shy of a dozen of films in minor roles before hitting with the title role of Thiagu in 1973 Tamil film Arangetram, directed by K. Blalachander. Kamal considers KB as his mentor who takes the credit in shaping his film career by offering him versatile roles in his films. 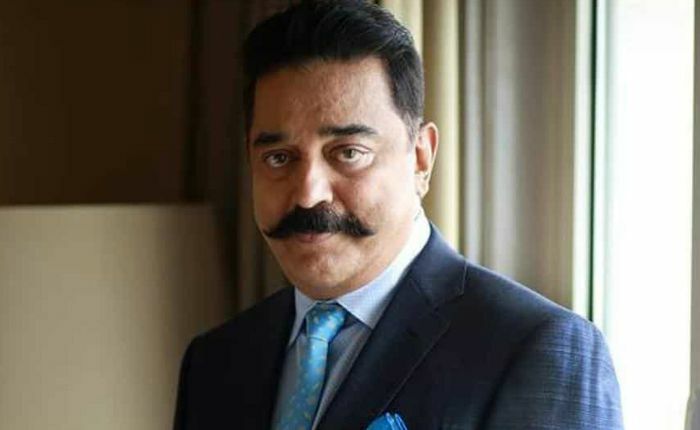 With a career spanning more than five decades, Kamal Haasan made his debut in the television industry as a host in the first season of Star Vijay’s reality show, Bigg Boss Tamil in 2017. Kamal has affiliated with the largest textile shop, Pothys. At age six he won the President’s Gold Medal for Best Child Actor for his debut film, Kalathur Kannamma. He was ranked #49 on Forbes’ Celeb 100 list in 2016. In May 2014, he was appointed as the official Indian delegate to the 67th Cannes Film Festival. Kamal has received a record 19 Filmfare Awards in five different languages as of 2000, then he requested the organization no further awards. In 2005, Sathyabama Deemed University awarded Kamal an honorary doctorate. Kamal Haasan received the Chevalier Sivaji Ganesan Award for Excellence in Indian Cinema at the inaugural Vijay Awards in 2006. He received the Living Legend Award in 2007 from FICCI. Ulaganayan Kamal Haasan has an estimated net worth of $100 million as of 2017. He charges around Rs 30 crores per film and takes a large amount of money for advertisement and television appearances. His earnings include films and endorsement. He has produced a number of films through his own production house, Raaj Kamal Films International. Kamal lives in a 2000 sq. ft. luxury house in Neelankarai, Chennai which he bought in 2004. This beautiful house features all the amenities including enough bedrooms and bathrooms, and a large living room. He is fond of luxury cars, having a Range Rover Evoque, Hummer H3 and Audi AS8. Book – Amma Vandhaal and Marapasu by Thi. Janakiraman. Kamal Haasan is a versatile actor, who has acted in many different Indian language movies – Tamil, Telugu, Kannada, Malayalam, Bengali, and Hindi. He is not only a commendable actor but also a proficient dancer, trained in classical dancing. After a few years hiatus from cinema, he returned as a dance assistant. Kamal Haasan has worked in different departments of film-making like the assistant director, director, dance choreographer, screenwriter, singer, make-up artist, lyricist, amongst others. He started writing scripts for movies at the age of 18, and Unarchigal was his first film credited him as a writer. Kamal has won several awards throughout his career, including 4 National Film Awards, 19 Filmfare Awards, and others awards. He is the only actor in India to have seven entries to Academy Awards for Best Foreign Language Film. Many of his movies have been screened at several International Film Festivals. Kamal is the first Indian actor to transform his fan clubs into social welfare organization called Kamal Narpani Iyakkam (Kamal Welfare Association). With which, he and his fans perform various charity works. In a recent interview, he proclaimed that his KNI has spent more than 30 crores till now for various causes. Kamal Haasan is the first South Indian actor to get Rs 1 crore remuneration for his film in 1994. He is one of the highest paid actors in the industry. The veteran actor, who has had tumultuous personal life has courted some controversies during his career. But not many are aware of the fact that on April 27, 2002, Kamal Haasan was detained at the Toronto airport and was denied boarding his flight to L.A. because he had an Arab name/look and was considered a potential terrorist. Kamal Haasan’s most ambitious film Marudhanayagam was launched by Queen Elizabeth II in 1997. The film, which was a biography of Marudhanayagam and best in his career, is on hold due to financial status. Unlike Rajinikanth, a friend of him, Kamal launched his political part “Makkal Needhi Maiam” on February 21, 2018.